Whittier police officer Keith Boyer was killed during a shootout with a “known gang member” suspected in another murder hours earlier in Los Angeles County. A procession and candlelight vigil were held to commemorate his 27-year career and sacrifice. Just after 8:00am Monday, Boyer and Officer Patrick Hazel both responded to a traffic accident in separate patrol cars. When the officers asked the suspect to exit his vehicle, he pulled out a semiautomatic pistol and began firing at them. Boyer and Hazel returned fire, injuring the suspect before backup came. After other officers arrived, Boyer and Hazel were rushed to the hospital, where Boyer was pronounced dead. Hazel and the suspect were both reported in stable condition and are expected to survive. The suspect was taken into custody after being treated. According to a statement released on Facebook by the Los Angeles County Sheriff’s Department, the suspect was “a known gang member on parole on early release.” They also state that a handgun was recovered at the scene, and that the suspect’s vehicle was reported stolen earlier that day. In a press conference following the shootout, Los Angeles County Sheriff’s Department Lieutenant John Corina said that Police have identified the suspect as a 26-year-old Hispanic gang member who was paroled from jail less than two weeks ago. The investigation into the suspect’s vehicle revealed it was connected to another murder that was reported earlier that morning in East Los Angeles. “It looks like he did a murder over there earlier this morning, took the car, and then happened to be driving through Whittier when he got in the accident, and then was contacted by the Whittier officers,” Corina said at the press conference. "Unbeknownst to the Whittier police officers, when they went to pull the car over, they had a murder suspect... in a stolen car." 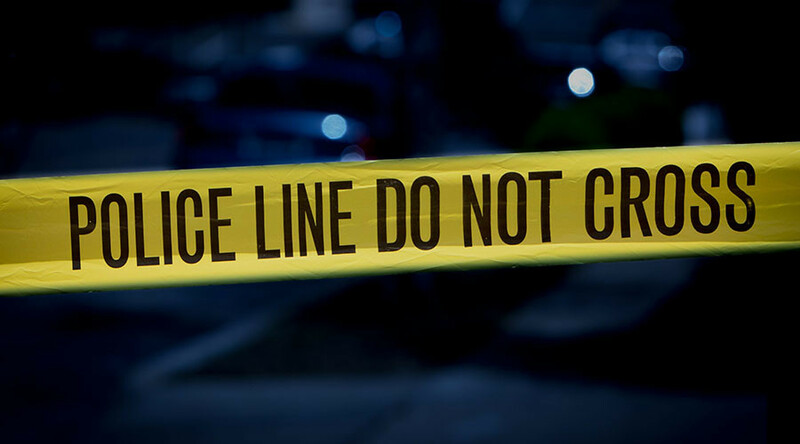 Police have issued a statement about the earlier murder, which they said took place at 5:29am on the 1400 block of Volney Drive in East Los Angeles. Police are asking the public to call them if they have any information. At the press conference, Whittier police chief Jeff Piper broke down in tears when he was asked about his relationship to Boyer. He said Boyer was “the best of the best” and described him as a personal friend, a respected member of the force, and a mentor to young officers and sergeants alike. Piper also mentioned that Boyer had talked to him about his plans to retire from the force soon. "Everybody needs to know what these officers are dealing with on a daily basis," Piper said. "People don't want to follow rules. People don't care about other people... This is a senseless, senseless tragedy that did not need to be." The death of Boyer marks the first time a Whittier police officer has been killed in the line of duty in 34 years. In the afternoon, hundreds of officers accompanied Boyer’s body during a procession, as his remains were transported from UC Irvine Medical Center to the Orange County coroner's office. A candlelight vigil began at 6:00pm for Boyer, with hundreds showing up to honor him.